S.P.I. 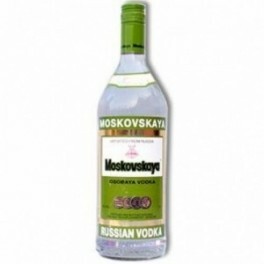 Group prepares Moskovskaya, a native Russian vodka with 40º alcohol content. Premium Vodka produced by triple distilled grain alcohol and pure water to which some acetic acid and bicarbonate is added. Eristoff Black Vodka bottle 0.70 l .
Premium Vodka , distilled four times and then filtered with quartz crystals in a very pure and rare variety , Herkimer diamonds . Absolut Vodka 1 Litre bottle . Premium Vodka produced in Ahus (Sweden ) .